Established in the late 1980’s as a veterinary practice, Vale Vets has built up a solid reputation over the years for providing professional advice and assistance for pets and their owners in the Crystal Palace area and further afield. Whether you are looking to drop by for a normal check-up, you would like advice on integrating a new puppy into your home or if you have personal concerns about the health of your pets, Vale Vets can help you. We understand the importance of having a professional veterinary service that you can trust so as one of the nearest veterinary practices to the Crystal Palace area, Vale Vets is located along Streatham Vale. The practice is within easy access of Glencairn Road from Streatham High Road. To get here simply carry on under the railway bridge and then turn right into Sherwood Avenue. The practice benefits from street parking outside the surgery on Woodmanstern Road and by the side on Farmhouse Road, making it perfect for both checkups and longer visits. Vale Vets provide a range of services designed to ensure that your pet stays fit and healthy, ranging from general checkups to regular vaccinations and other treatments. We offer support and assistance for cats, dogs and a selection of smaller animals and help pets both young and old. We take pride in going above and beyond the call of duty in order to provide a first rate service you can truly rely on. Our pet care plan is designed to help provide you with professional support in the event of an accident or illness. The pet care plan is available for cats, dogs and rabbits and covers a range of free treatments including kennel cough vaccinations for dogs. You will also receive a 10% discount on any additional treatment so our pet care plan is perfect for those looking for a little more security in their pets’ health care! For a full list of our services you can find our range of treatments as well as details of our pet care plan on our Services Page. If you live near Crystal Palace including Dulwich and Thornton Heath, you will also benefit from being in close proximity to the clinic. You can find more information on our areas we cover and services pages. Vale Vets draw from a wealth of experience in order to provide a first class service designed to help your pets to lead long and healthy lives. By providing a personalised service we are able to gain a detailed understanding of your pets’ health and in doing so we can then focus on ensuring complete health care for your pets for many years to come. 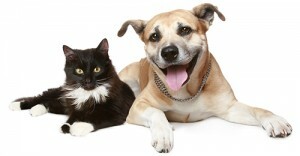 Why not contact us today to find out more about how we can help your pets live a healthy life? To get in touch with us simply call us on 0208 679 6969 and a member of our expert team will answer any queries you might have. You can also contact us via email at info@valevets.com and we will get back to you. We look forward to hearing from you.